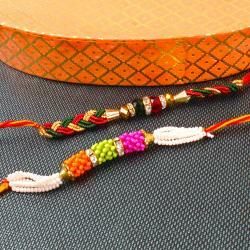 Sandal Wood Beads Rakhi and Pearl Rhinestone Beads Rakhi along with Packet of Roli Chawal. 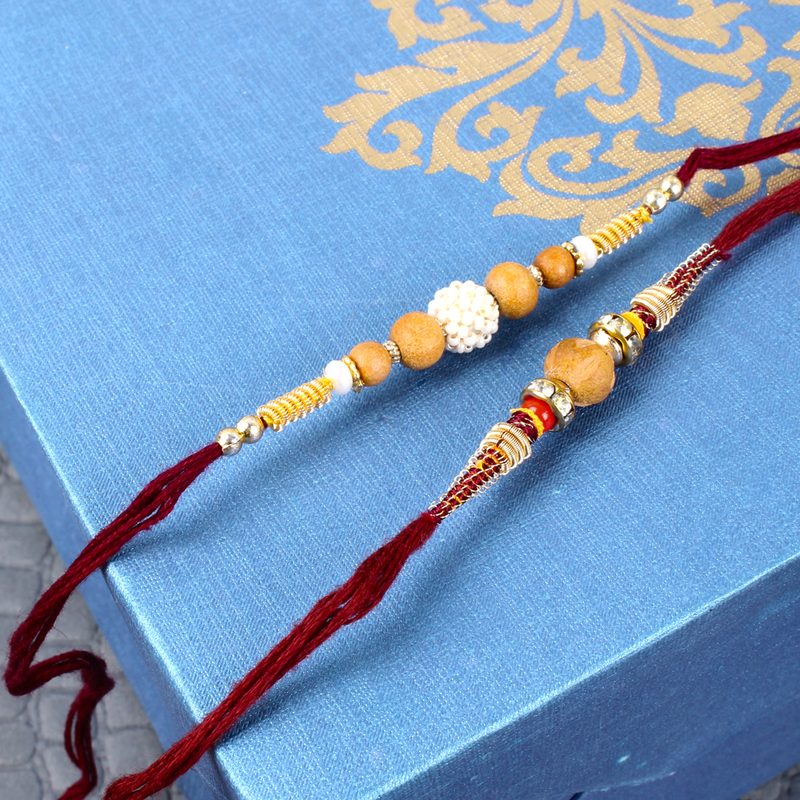 Bring happiness and positiveness by tying this Simple sandal wood Rakhis, Both Rakhi has their own attraction dials with both the sides of Zardosi strings. A lovely way to express your love for him on this special occasion. 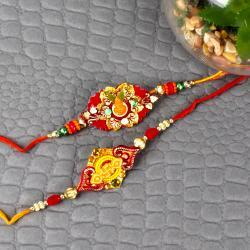 Gift this both the Rakhis to your dear brothers and make him feel special on this Raksha Bandhan. 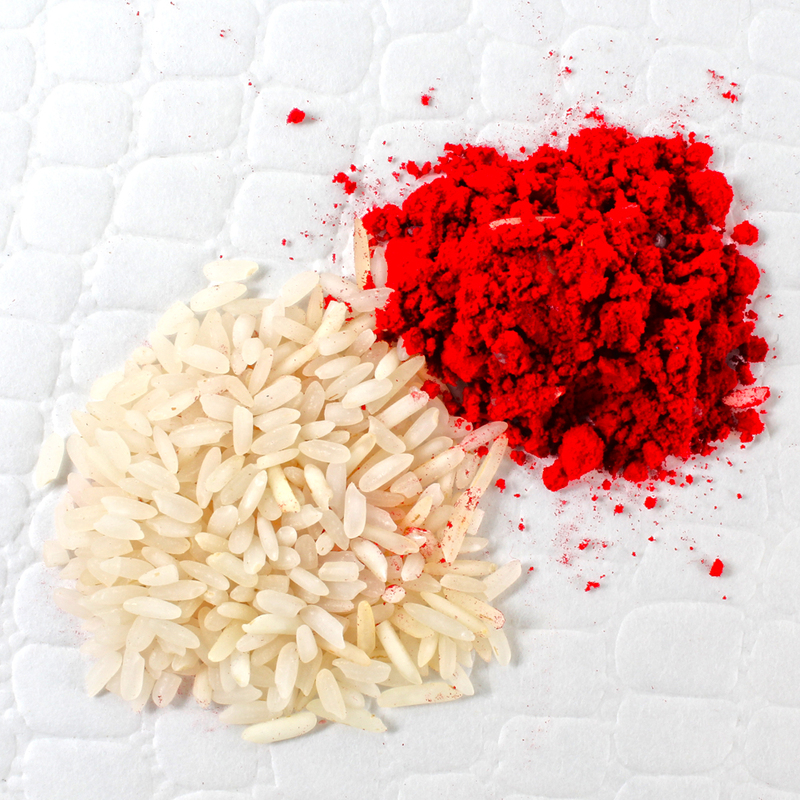 The Rakhi will look amazing on your brothers wrist courtesy its magical hues and its endearing design pattern while Roli Chawal plays the perfect foil to the same. 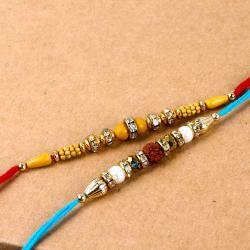 Product Includes : Sandal Wood Beads Rakhi and Pearl Rhinestone Beads Rakhi along with Packet of Roli Chawal.